As of January 2019, there are 29,252 entries on Medline for the keyword of acupuncture. It is one of the most widely studied complementary and alternative medical procedure. Most of these studies focus on acupuncture’s efficacy for certain medical conditions, however, there are some that track its safety record. A paper published in 2001 by Vincent, CA titled The safety of acupuncture concludes that “acupuncture is a very safe intervention in the hands of a competent practitioner”. MacPherson H, et al, published The York acupuncture safety study: prospective survey of 34,000 treatments of traditional acupuncturists in 2001. “There were no reports of serious adverse events, defined as events requiring hospital admission, leading to permanent disability, or resulting in death.” Further, “no serious adverse events were reported after 34,407 acupuncture treatments. 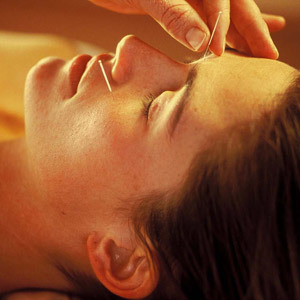 This is consistent, with 95% confidence, with an underlying serious adverse event rate of between 0-1.1 per 10,000 treatments.” 43 of 34,407 acupuncture treatments reported minor adverse events. They included severe nausea, fainting, severe dizziness, heavy sweating, or vomiting, unexpected prolonged aggravation of existing symptoms, unacceptable pain and bruising that all disappeared within two weeks or sooner.